Do you need a sturdy and stylish wardrobe to keep your kid’s room organized and tidy? Furniture Chelsea is your one-stop as we feature a wide range of wardrobes and storage units, specifically designed for your children’s room. We have high quality wardrobes to complete your kid’s bedroom with a practical and fun storage solution and help you store your kids’ clothes and toys neatly. We offer you a variety of kids’ wardrobes in many different colours, themes and designs, so you can keep your kid’s bedroom in order with our uniquely designed wardrobes. 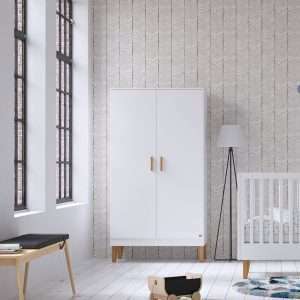 Available in different styles, our wardrobes easily match your kid’s bedroom décor setting. Our kids’ wardrobes provide lots of space for storage and come with a combination of shelves and clothes rails for different types of clothing as well as with built-in drawers and other compartments that will help you keep their clothes and other stuff tidied away.